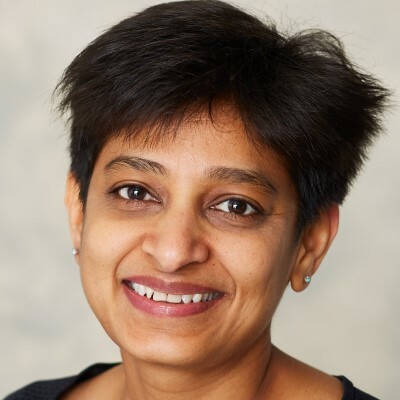 As zulily’s VP of Technology, Bindu leads a team of 60 engineers and product managers responsible for building the innovative solutions needed to launch over 100 sales and 9,000 new products each day. From driving product strategy around zulily’s self-service Big Data platform to developing a proprietary internal software for zulily’s 500-person merchandising team to manage product and predict sales performance, Bindu and her team are focused on building high-scale technology products that power the merchandising, pricing and vendor platforms at zulily. Bindu has been in the technology industry for 20 years. She previously was the Vice President of Engineering at Koollearning, an ed-tech startup, and before that worked for several years at Microsoft as an engineering and product leader. She is passionate about building seamless customer experiences, mentoring women in technology and has worked extensively in Media, Consumer, Server and Services spaces. Bindu has a M.S. in chemical engineering from Colorado State University and a B.Tech in chemical engineering from Andhra University, India. When not at zulily, Bindu enjoys spending time travelling the world with her family and capturing diverse cultures and experiences through her photography.